The fraud report represents the end result of an investigation that likely involved weeks of reviews, evaluations, analyses, interviews and discussions. It must be flexible enough to communicate complex information to various levels of people, while also being able to withstand judicial and attorney scrutiny. An excellent investigation might not withstand a poorly written fraud report. Quality fraud reports do not just happen. They require thought and effort. A well-written fraud report adds value by providing, among other things, information that is accurate, objective, relevant, clear, concise and complete. Jonnie Keith has been in auditing for more than 40 years. 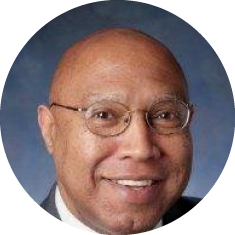 He retired in 2012 as the Assistant General Manager of Internal Audit with the Metropolitan Atlanta Rapid Transit Authority (MARTA). He served in that capacity for over 10 years and was responsible for administering the overall audit activities. He was also responsible for the review and approval of all internal audit correspondence including audit reports, executive summaries, and internal and external correspondence.